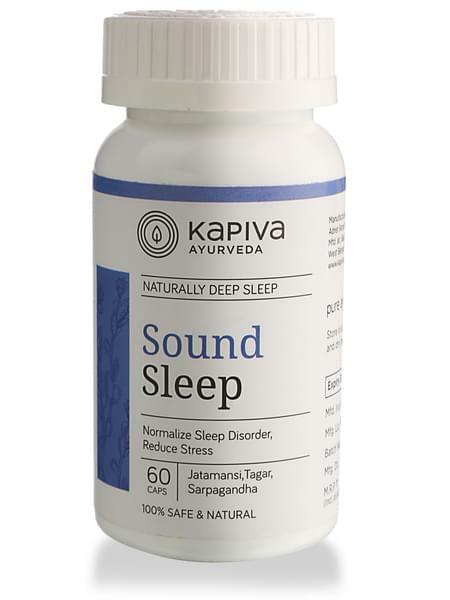 • Kapiva’s Sound Sleep Capsules have been developed for all those who have trouble sleeping. • Helps in achieving uninterrupted, sound slumber. • Restores regular sleep patterns and circadian rhythms. • Combats stress and fatigue, keeps an individual active throughout the day and conducive to good rest at night. • One or two capsules, depending on severity of the condition, before bedtime is effective in curing sleep disorders. • Kapiva derives its name from the three doshas of ayurveda – Kapha-Pitta-Vatta. our range of 200+ GMP Certified products have the right herbs in the right dosage and provide solutions to a variety of ailments. It's the day and age of hybrids, so go ahead and enjoy the best of both worlds - Ayurvedic tradition + Modern-day science and technology.